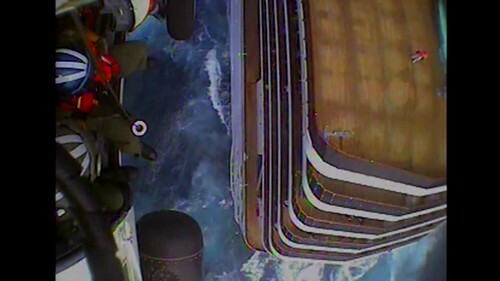 WILMINGTON, N.C. — The Coast Guard medevaced a man from a cruise ship off the North Carolina coast Monday. Watchstanders in the Coast Guard Sector North Carolina Command Center in Wilmington received a report from the cruise ship Carnival Pride around noon that the 71-year-old man was suffering heart attack symptoms approximately 40 miles east of Morehead City. An MH-60 Jayhawk helicopter crew from Coast Guard Air Station Elizabeth City hoisted the man from the ship along with a nurse, and transported them to Vidant Medical Center in Greenville.